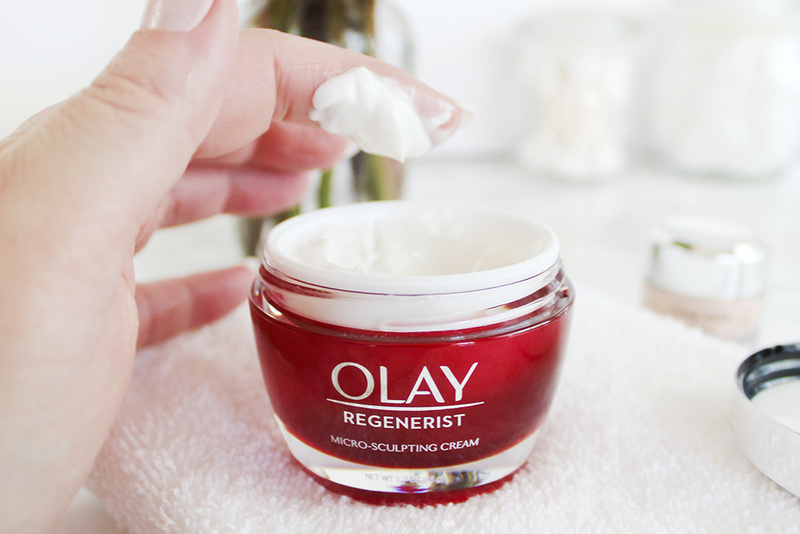 Southern Mom Loves: My Winter Dry Skin Reset! 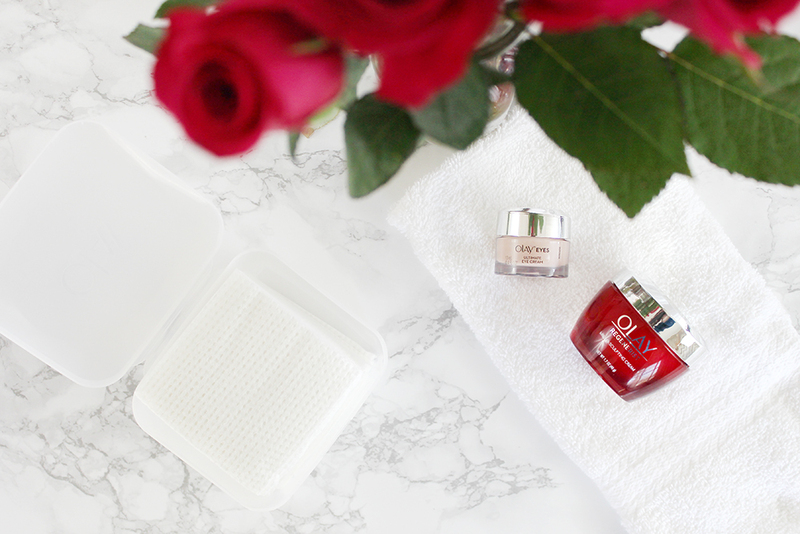 My Winter Dry Skin Reset! 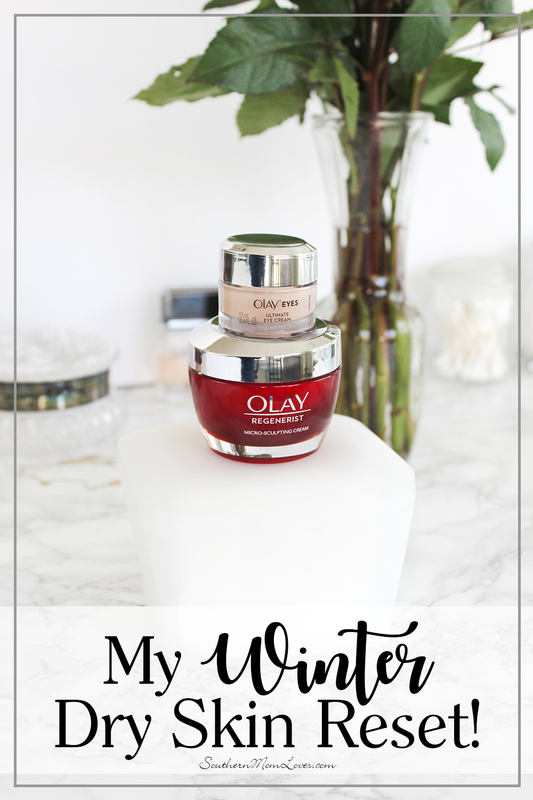 With the holidays over and resolutions begun I realized that there's something I've neglected: my dry winter skin. I typically use products for dry skin during this time of year, but after the indulgence and neglect during the holidays I realized that I needed to do something more drastic: a complete reset of my routine. I'll show you just what I used and how you can reset your own skincare routine for lasting results and noticeably smoother skin. 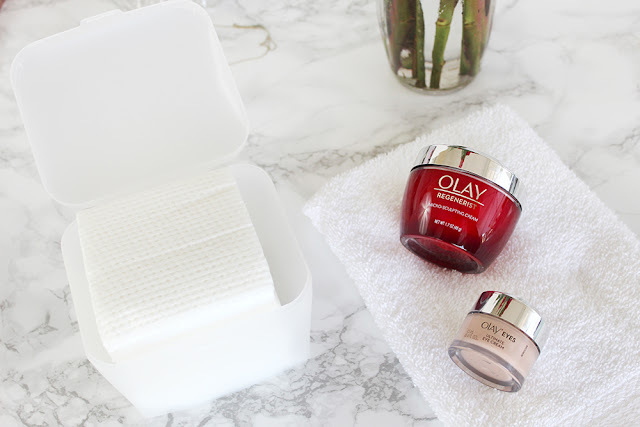 Olay is my go-to for products that work but don't cost a fortune. I've used all of these products before so I know how effective they are, but this time I'm combining them like the Voltron of skincare. This 3-Step Reset makes it easier than ever to get your skin back into shape after a season of indulgence. If you've been reading the blog for a while you may remember these. 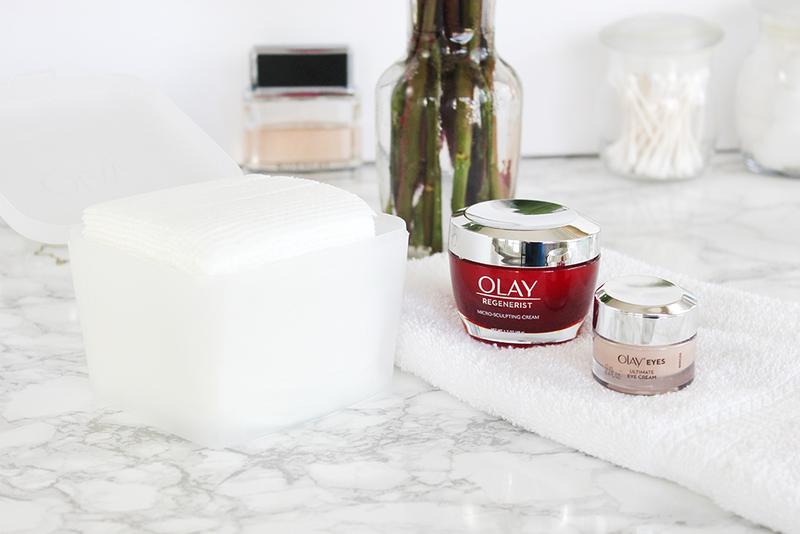 My new routine starts with the fabulous Olay Daily Facials. 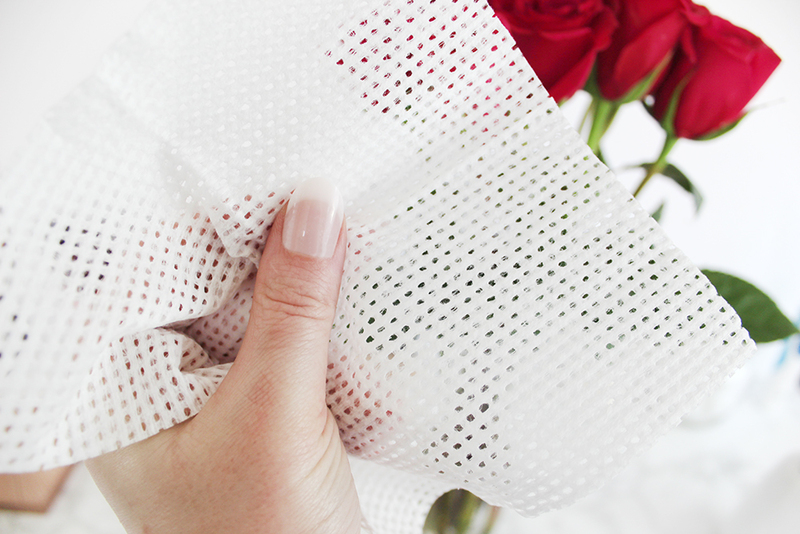 These babies are so much more than a makeup remover, it's like having a mini facial every day. They deliver a more complete clean than the leading makeup remover, micellar water, and liquid cleanser because it removes makeup, cleanses, exfoliates and hydrates with no residue left behind. Plus, they're easy to travel with because they're dry cloths. Just activate with water and they foam beautifully. They leave my skin feeling clean without feeling dry. So refreshing! 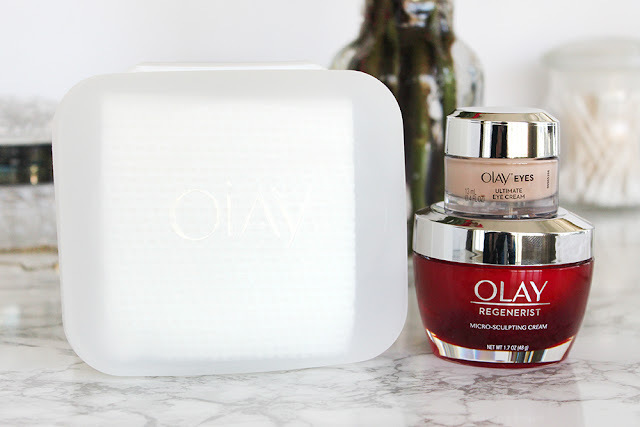 The Olay Regenerist Micro-Sculpting Cream is truly a powerhouse product for aging skin. It's been proven to hydrate skin better than high-end creams that cost $400 plus it has ingredients that aid in skin repair and regeneration and immediately plumps the skin for results starting with the first use. It's a godsend for my dry skin. I use it twice a day and it leaves my skin feeling hydrated and velvety-smooth. I did some great before and afters when I first tried the Regenerist Micro-Sculpting Cream. You can see those here. 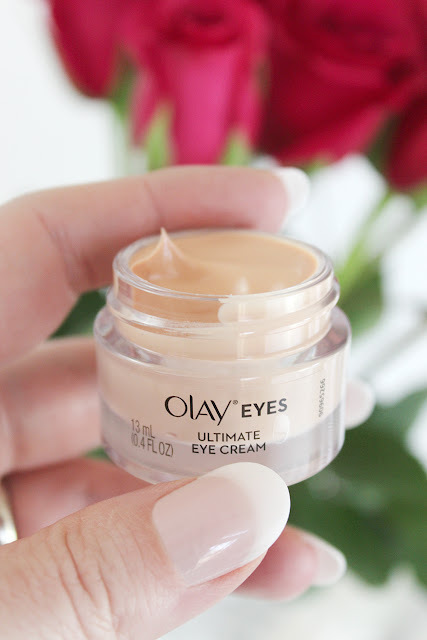 Olay Eyes Ultimate Eye Cream really is the bomb product for eyes. I've tried a lot of undereye products that make a lot of promises, but nothing has delivered for me like this cream. It immediately reduces my undereye puffiness and brightens the eye area. No makeup days are no problem. On top of that it has powerful vitamins and peptides that hydrate and smooth the undereye area starting on Day 1 and continue to renew the skin’s surface over time. So that's my reset and it works wonders for my skin, especially in this cold weather when it feels like I can't get enough moisture. Comfortable skin that doesn't itch like crazy is the goal but why not get all of the anti-aging benefits possible, especially when the products are so affordable? These three products cover all of the bases: moisture in every step and a fantastic reduction in the look of my fine lines and undereye puffiness. My skin has never looked so good! You can find everything for your own winter skin reset here. Are you suffering from dry winter skin? Have you tried any of these products yet? I love to read your comments!